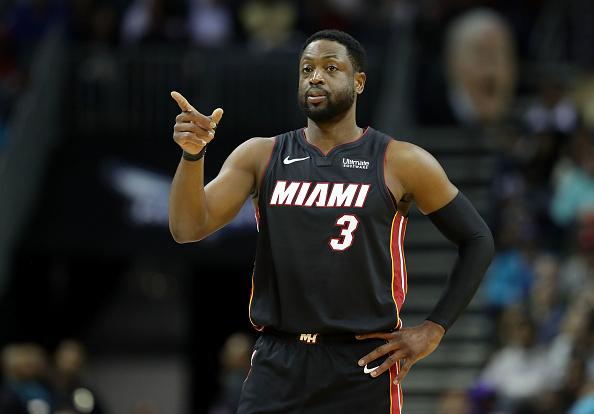 Dwyane Wade is in the midst of last season in the National Basketball Association and he’s watched the game change throughout his time in the league. During a sit-down interview with NBA.com, the Miami Heat legend talked about how much more of a thinking game the NBA used to be when he first broke into the league, as opposed to how players are easily getting $200 million contracts from being able to catch a lob and dunk the ball. “We’re at a place right now in the league where if you have talent, you can succeed. And I’m not knocking it. It’s just what it is. When I came in it was different. It was more of a thinking man’s game. It was different rules to the game, you know, with hand-checking and everything. It was more of a man’s league, per say. But now, if you have talent in this league, you’ve got one-on-one abilities, you can succeed. If you’ve got one talent, just one thing you do special, you can be great. If that talent is just setting the pick and roll and then jumping as high as I can for a lob, you can do it and you can make $200 million doing it. It’s just a different day. And there’s nothing wrong with it. The game changes for every generation. So I hope my son can get a little of this NBA action, because I think it’s going to be a really fun era to play in and be a part of. Wade is definitely not wrong.